Shotgun Players delve into Shakespeare’s darkest and most personal of tragedies with their production of King Lear. Why is it that we must lose everything in order to appreciate what was right before our eyes? We have a reputation at Shotgun of presenting works that are considered "classics" with a fresh, bold and courageous approach. 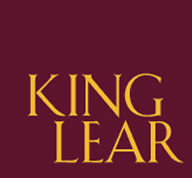 Our audience can expect no less with King Lear. This play is far more than a simple story of a good father betrayed by two evil daughters. 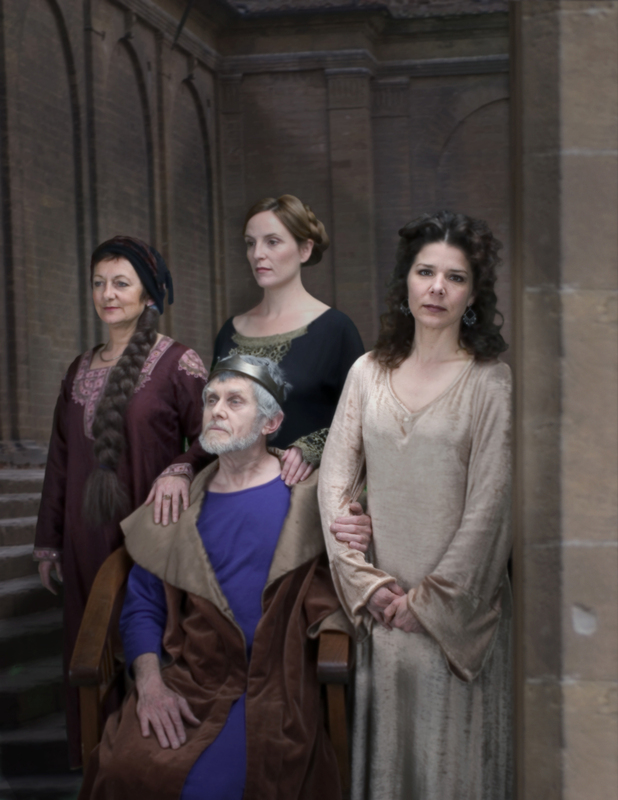 When you explore the complex, dark and subtle relationships between the characters, it is clear that Lear and his three daughters have far more in common that is readily apparent. The Shotgun production will give audiences an opportunity to experience, with great sorrow, the untimely unraveling of a family. In 1594 a play was written entitled Leire Kinge of England and his Three Daughters. 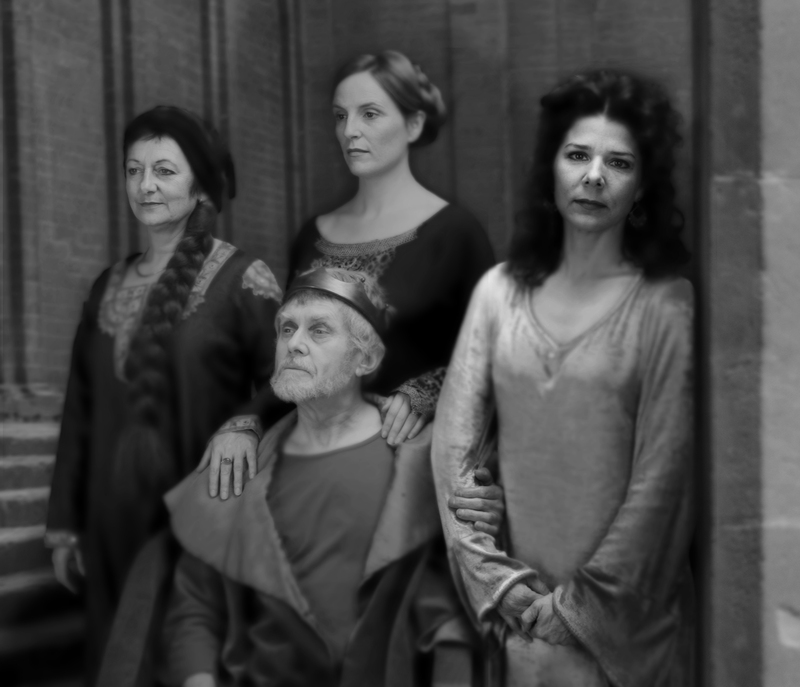 The script follows historical records by having Lear reunited with Cordelia and restored to the throne at the end of the play. In 1605 Shakespeare wrote King Lear with a radically changed ending; Lear is reunited only briefly with Cordelia before they both perish. Imagine the shock of being an audience member in Shakespeare’s theatre – you think you know the story and suddenly things turn out very differently than you expected. The Shotgun ensemble aims to recreate some of this surprise by stripping away layers of stereotype to reveal a tale that is both raw and passionate in its exploration of human nature. 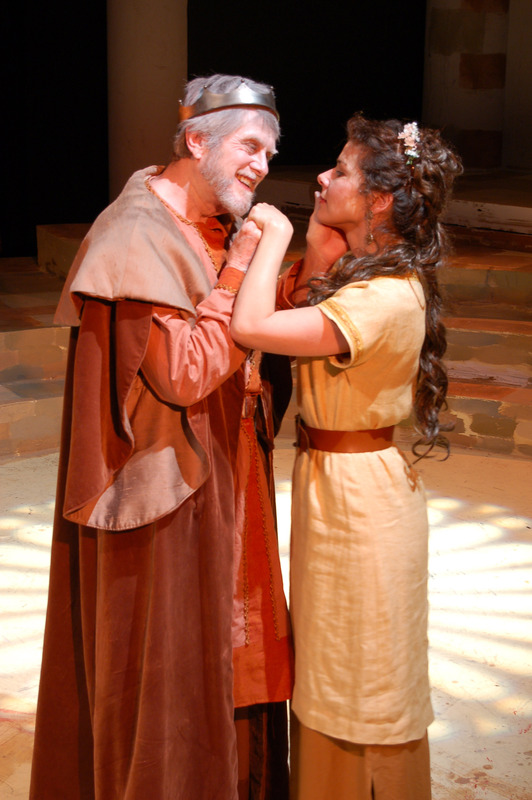 As little as we may want to admit it, we all have the potential to be Lear, Goneril, Cordelia, Regan, Edmund or Edgar. Shotgun Players production of King Lear will be co-directed by Shotgun Artistic Director Patrick Dooley (Mother Courage, The Just, Owners) and Company Member Joanie McBrien (Cyrano de Bergerac, Vampires). The show features an all star cast of Shotgun Core Company Members: Richard Louis James in the title role (Arabian Night, Quills,The Death of Meyerhold), Eric Burns (Cyrano de Bergerac, Dog Act, Miser), Fontana Butterfield (Cyrano de Bergerac, Miser, EAT), Dave Maier (Cyrano de Bergerac, Dog Act, The Death of Meyerhold), John Mercer (Owners, Travesties), Trish Mulholland (Owners, Mother Courage), Benjamin Privitt (Arabian Night, The Death of Meyerhold) and Katja Rivera (We Won’t Pay, We Won’t Pay) as well as Drew Anderson, Jared Dager, Daniel Riviera and Gabe Weiss. Lisa Clark and Alf Pollard will design the set, Dave Roberston will design lights, and Leah Marthinsen will design costumes. TICKET PRICES: Pay What You Can - $30. The first week of performances, May 9 – 14th are Pay-What-You-Can at the door for general seats. May 18 – June 18 performances are sliding scale $15 - $30. Reservations for all performances are strongly advised. For sold out performances, there will be a waiting list that begins at 7PM. "...a cast with great voices"
"A very well produced and directed production..."